Applications are being taken for the 2019 Annual Membership. We now have a streamlined process to join the Club. 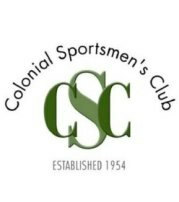 You will need to fill out an Application and prepare a Check for 2019 Dues, New Members must meet with a Club Officer to review the New Member Information (or attend a Club Meeting: first Thursday of month – beginning in March, 7:30pm at Clubhouse).